The pebble bed high temperature gas-cooled reactor is a promising generation-IV reactor, which uses large fuel pebbles and helium gas as coolant. The pebble bed flow is a fundamental issue for both academic investigation and engineering application, e.g., reactor core design and safety analysis. This work performed a review of recent progress on pebble flow study, focusing on the important issues like pebble flow, gas phase hydrodynamics, and inter-phase heat transfer (thermal hydraulics). 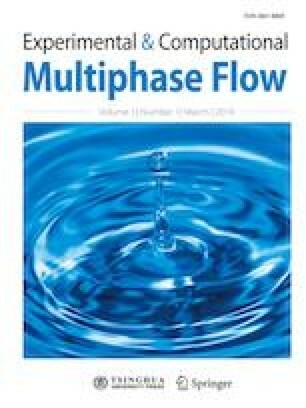 Our group’s researches on pebble flow have also been reviewed through the aspects of phenomenological observation and measurement, voidage distribution, geometric and parameter optimization, pebble flow mechanisms, flow regime categorization, and fundamentals of modelings of pebble flow and radiation. Finally, the major problems or possible directions of research are concluded which would be some of our focuses on the pebble bed flow study. The authors are grateful for the support of this research by the National Natural Science Foundation of China (Grant No. 51576211), the National High-Tech R&D Program of China (863 Program, Grant No. 2014AA052701), the Science Fund for Creative Research Groups of National Natural Science Foundation of China (Grant No. 51621062), and the Foundation for the Author of National Excellent Doctoral Dissertation of PR China (FANEDD, Grant No. 201438).